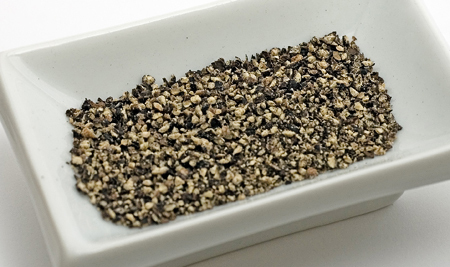 Black Peppercorn (Black Pepper)- Black peppercorn is a dried, unripened berry and the most common and versatile. Used in flavoring savory dishes, it has a mild flavor, but is strong enough to add a bit of heat to a dish. One of my favorite fried round steak recipes lists 3 teaspoons of ground black pepper. Green Peppercorns- Turn up the heat a bit more with green peppercorns. Harvested very early and then brined, or quick-dried, the flavor works great in salsas, cream sauces, and vegetables. Long Pepper (Piper Longum)- Similar to black peppercorns but with a stronger flavor. Often used in Indian cuisine, and international spice blends. Pink Peppercorns- These rose-hued berries are unique; they are used in both sweet and savory dishes. Known for their attractive color, they have a sweet and fruity taste. They make a flavorful addition to sauces, meat, and fish dishes; also used in ice cream, and chocolate desserts. Red Pepper (Cayenne)- This is one of my favorite peppers. Made from a pickled ripe pepper, red pepper is pungent and hot, with a slightly sweet taste. Try red pepper when you want to turn up the heat in mexican dishes, chili, stew, pot roast, jambalaya, and tomato-based sauces. White Peppercorn- White peppercorns are black peppercorns left to ripen fully. The berry turns white when dried. It is slightly milder than the black variety and is used in light-colored sauces, soups, and marinades. Also good paired with fish and chicken. Lemon Pepper- A lemony blend of black and white peppercorns, lemon zest, and additional spices. Delicious sprinkled on seafood, steaks, pork, chicken, and salads. Also a pleasing addition to oil and vinegar salad dressing. I'm usually a little skeptical about new recipes that I see in women's magazines. For me, the results are hit and miss, but this recipe from Campbell's looked so good and easy, I thought I'd give it a taste test. These roast beef sandwiches are a hit with my family. Hubby says these are just as good as the French Dip sandwiches he orders at the steak house. I love that they're made with sliced deli roast beef. Easy! Heat oven to 400 degrees F. Heat soup and Worcestershire sauce in 2 quart saucepan over medium-high heat to a boil. Add beef and heat through, stirring occasionally. Divide beef among rolls. Top beef with cheese slices. Place sandwiches on a baking sheet covered with foil, to catch drippings. Bake 3 minutes or until cheese is melted, and sandwiches are toasted. Spoon 2 teaspoons of soup mixture into each sandwich. Top each sandwich with pepper rings. Use remaining soup mixture for dipping. Result: Lots of drippy, happy smiles!